Hawks, Eagles, Falcons, Osprey and Owls. In Siskiyou, you can just about walk out your front door and see them all – an exciting (and rare!) reality that proves just how wild Siskiyou still is. In fact, the eastern part of the county is one of America’s biggest migratory hotspots and home to no fewer than 15 different species of nesting birds of prey. 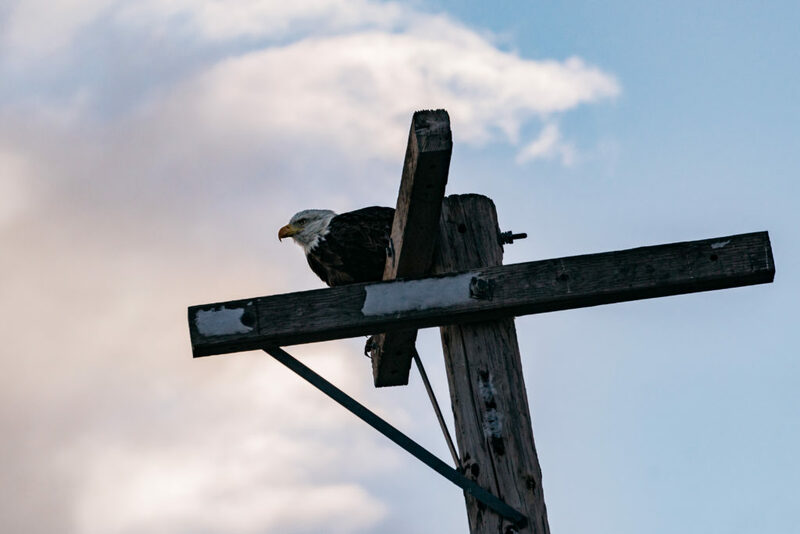 What’s more, at this time of year, Siskiyou also features the largest aggregation of wintering bald eagles in the lower 48, sometimes numbering as many as 700 birds. 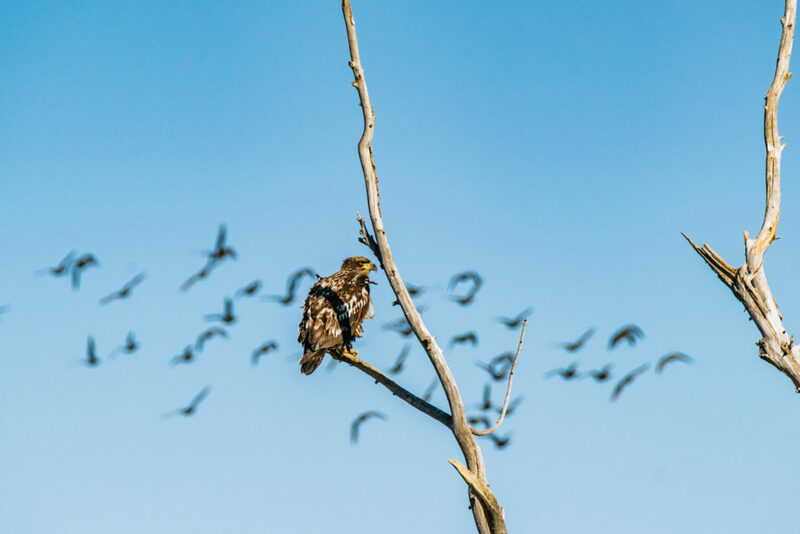 Dozens of these majestic raptors can be usually spotted during a single trip along the Tule Lake and Lower Klamath auto tours, with perhaps as many as 50 from a single spot. Grab some binoculars, a field guide and discover some of the best viewing spots for some of Siskiyou’s most fascinating flying residents! 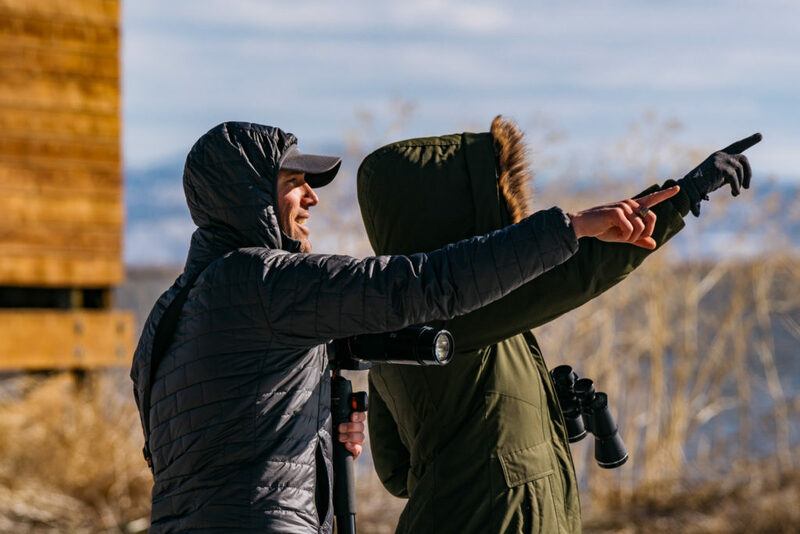 Not only will you likely see hundreds of birds of prey here, you will also come across swans, ducks, geese, and dozens of other species at the Lower Klamath Wildlife Refuge near Dorris and Tulelake. Established as the nation’s first waterfowl refuge by President Roosevelt in 1908, this National Historic Landmark gets up to 1.8 million birds during peak waterfowl season – a shocking 15 to 45 percent of ALL birds wintering in California and one of the most biologically productive refuges within the Pacific Flyway. This comes as no surprise since the refuge is more than 50,000 acres of shallow marshes, open water, grassy uplands, and cropland. If you are a serious photographer, be sure to check in with the Department of Fish and Wildlife to find out about reservations for the Refuge’s various blinds that can get you up close and personal. Added bonus: all this birdwatching takes place against the beautiful backdrop of Mt. Shasta to the southwest. 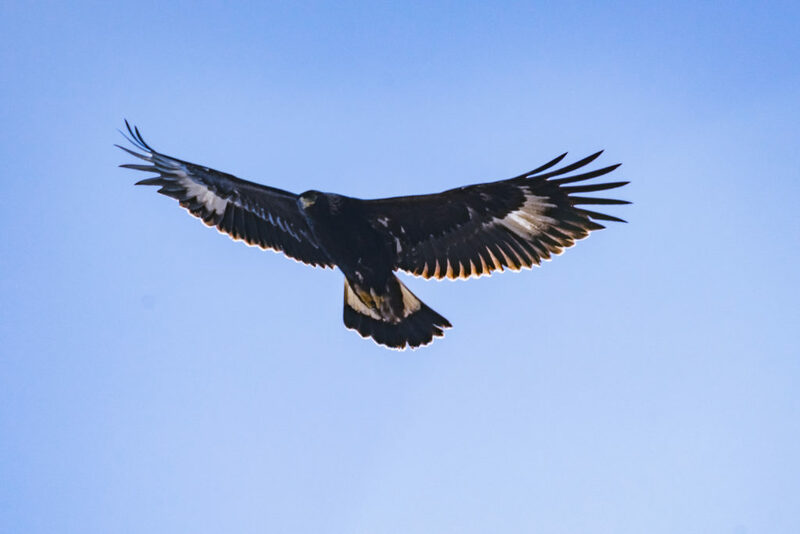 In the Tule Lake Basin you will enjoy watching a wide variety of birds, some of which become sources of food for the 500 plus eagles that winter here. You’ll see waterfowl, shorebirds, songbirds and probably even some small mammals and aquatic life in this volcanic wonderland. 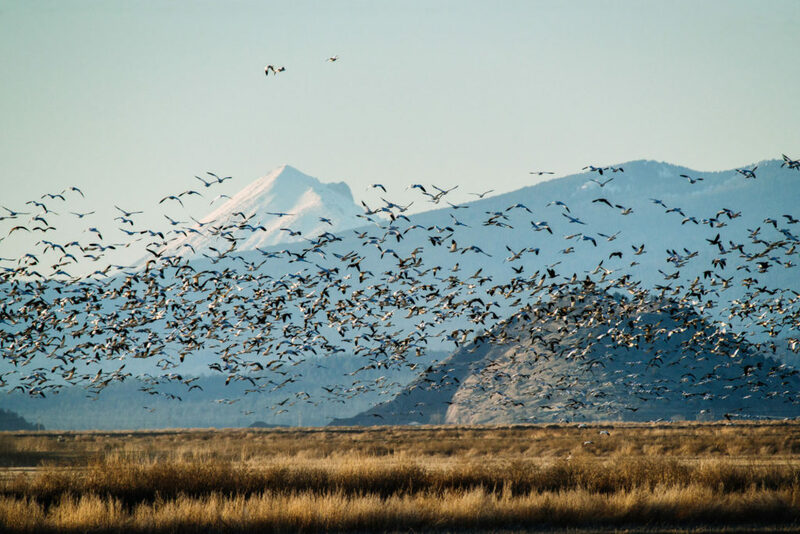 The Basin is an important stopover for the Pacific Flyway with four national wildlife refuges and thousands of acres of private farmlands. It also features a twelve-mile auto tour route and paved or graveled all-weather road to easily accommodate winter viewing. Be sure to check out the Visitor Center on Hill Road, five miles west of Tulelake for some great wildlife exhibits and lots of current information on best viewing spots in the Refuge. 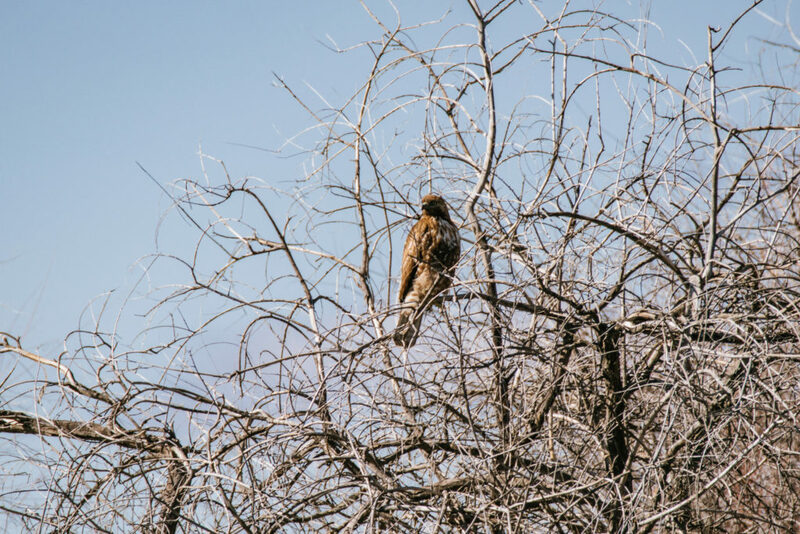 Butte Valley Wildlife Area near Macdoel and Dorris is known for its excellent raptor-viewing, with several species of Hawks as well as good numbers of both Bald and Golden Eagles that feed on the abundant areas abundant ground squirrels. The area encompasses approximately 13,400 acres of wetlands, sage flats, and farmlands, as well as the 4,000-acre ephemeral Meiss Lake that dries every 10-15 years. If you stick around after dusk, you might even catch a glimpse of numerous types of owl, including great horned owls, short-eared owls, and long-eared owls. While smaller in scope than the Refuge’s, the Shasta Valley Wildlife Area is conveniently located near Yreka and Montague with an unusually rich biodiversity. It was designated as a Wildlife Area in 1991, and contains approximately 4,700 acres of Great Basin juniper woodland, riparian forest, seasonal wetlands, and cropland that attracts numerous birds of prey, including some of the region’s few nesting pairs of Burrowing Owl and Prairie Falcons. While perhaps not as famous as their Peregrine cousins (which can also be found in Siskiyou! ), Prairie Falcons are equally thrilling to watch. Foregoing the Peregrine’s 242 mile per hour power dive on other birds, Prairie Falcons swoop in low and fast like a jet on a high-speed firing run to catch ground squirrels. To add to the excitement, Shasta Valley also happens to be a great place to spot deer, porcupines, and coyotes with its three deep-water reservoirs. These are just a few places to spy birds of prey wintering in Siskiyou. Just remember to take your time, keep a healthy distance for the health of the birds, and let nature work its magic. Plan your next bird-filled adventure in California’s north today!